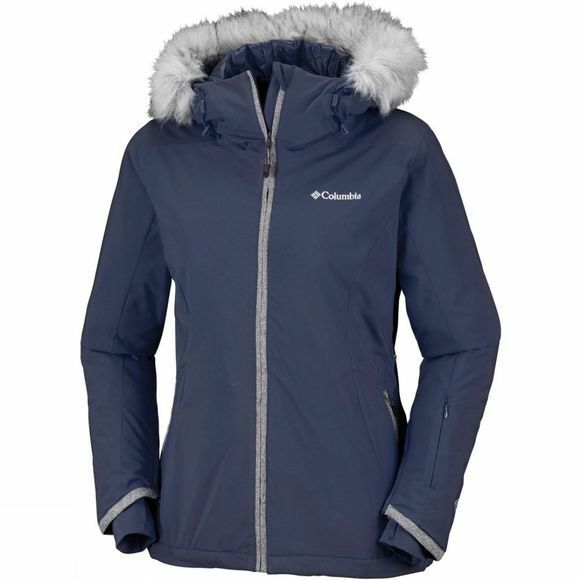 The Womens Alpine Slide Jacket from Columbia is perfect to hit the slopes in style. Be ready for anything. 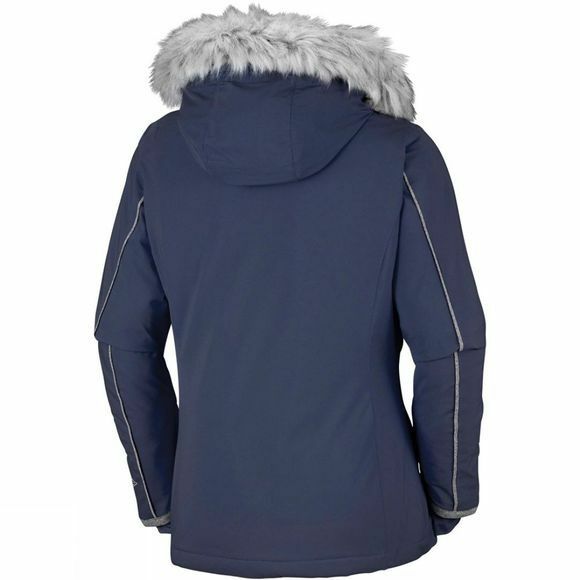 The stretch and waterproof, breathable fabric protects you from wind and snow, while the adjustable hood, with removable, foldable synthetic fur, provides extra weather protection for your face. Columbia has added all the ski essentials: underarm venting, ski pass pocket, goggle pocket, powder skirts and zipped hand pockets allows you to store all your ski essentials with ease.